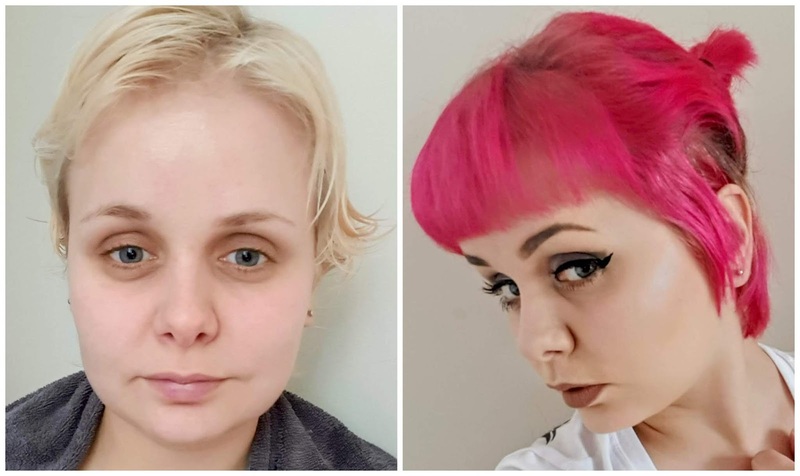 Over the years I have dyed my hair so many times and I have actually dyed my hair pink in the past but it didn't go the way I wanted as my hair was damaged at the time and I just gave up on it... until now. 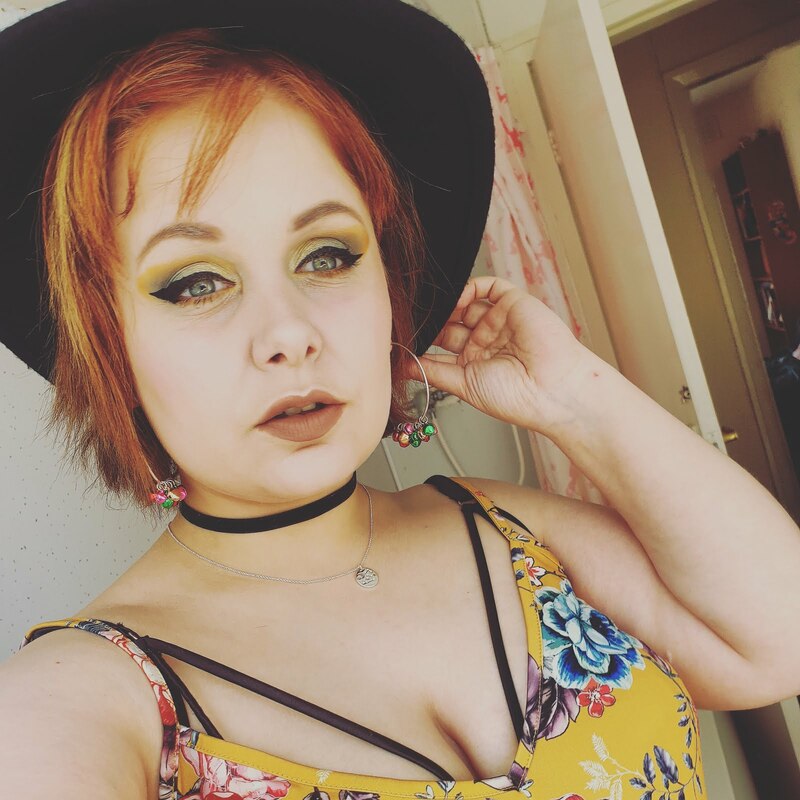 I recently got my hair back blonde so I decided to give bright pink hair a go again! It took me ages to decide on which pink hair dye to buy because my goodness they are so many different brands and also so many shades of pink to choose from too. I decided to go for 'Colour Freedom' in the shade pink pizazz. Colour Freedom sell a variety of different semi-permanent hair dyes from blondes, vibrant to pastels. The application was simple enough once I followed the instructions. I washed my hair with shampoo then towel dried my hair than using the gloves that were included I applied this to my hair like I do with my conditioner, I avoided near the scalp. The formulation smelt amazing and very fruity and the consistency was very much like a deep conditioner, very thick yet silky. I really did love Pink Pizazz at first as its such a lovely shiny vibrant hot pink but every time I washed my hair it was so messy and unfortunately faded very quickly. The good thing about colour freedom is the bottles are pretty big at 150ml and you can reuse the product if they are any left. You may need to buy new ones everytime if your hair is long/thick. This hair dye is free from any harsh chemicals and peroxides. The formula is a treat for the hair as it contains shea butter and argan oil which help to nourish the hair and give the hair a lovely natural shine. As you can see in the photo below my hair was very light blonde and pink pizazz worked pretty well on my hair. 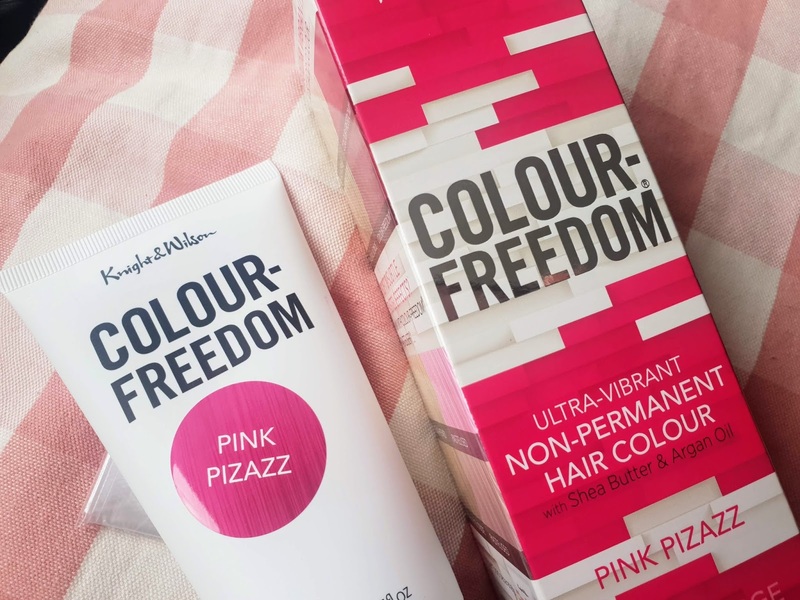 I do like how pink it made my hair at first and it does say that it lasts 6-10 washes but for me, it simply didn't last that long before fading so much, I would say it faded drastically within the second wash which is a shame because I do love it. As much as I loved Colour Freedom Pink Pizazz at first it simply faded too much for me to want to buy it again. I did love how nice it smelt and also how simple it was to apply as well. It also made my hair look very glossy and shiny when I first used it which I was very happy about. I think I may try Manic Panic or Arctic Fox next time for a pink hair dye, what brand suggestions do you think? It's a shame it faded so quickly as it looks A M A Z I N G.
Your pink hair looks AMAZING! It's a shame it faded quickly though! I love colour freedom! I think they're products are amazing, I've used their hair care kits and they're so good!